$500.00 CASH PRIZE FOR FIRST PLACE! 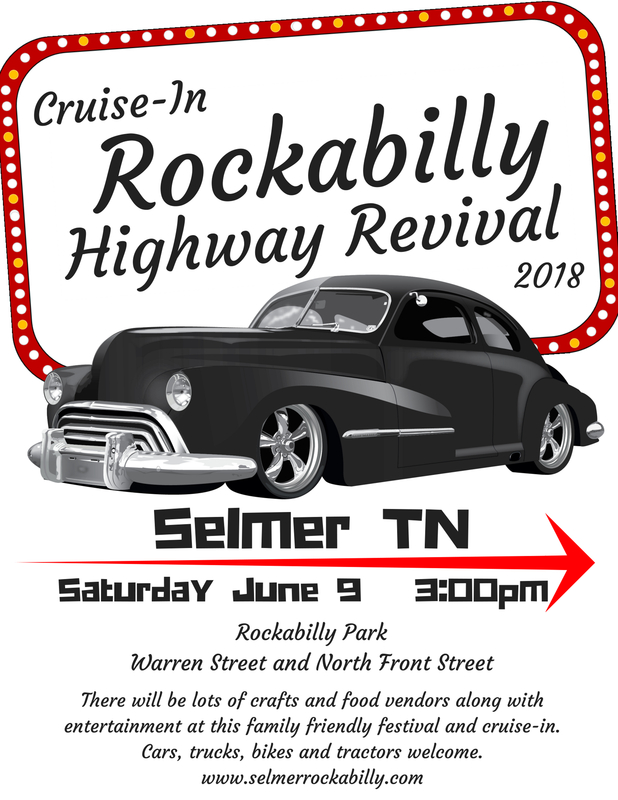 Join us for the MCMHF annual induction ceremony and tribute concert on the eve of the Rockabilly Highway Revival festival in downtown Selmer. Wayne Jerrolds, David Killingsworth, Benny Coley, and Paul "Butch" Gibson will be inducted in the class of 2018 on the historic Latta stage. Scheduled to perform are Lloyd Watkins and the Hall of Fame Band, Benny Coley, David Killingsworth and Wayne Jerrolds. The short documentary film, Homegrown: Music in McNairy will also be debuted as part of the evenings festivities. The film features music from the Stanton Littlejohn collection, archival images and video footage of McNairy County Music Hall of Fame members, and interviews with many others. Admission is free, but come early, it will be standing room only! Congratulations to the class of 2018!